In 2011 we started a new project to help the people learn how to raise their cuy in a better more hygienic way than they have in the past. On our first visit we noticed that the cuy are allowed to roam around the kitchen with no control of the breeding process. The result is a poor strain of cuy with a reduced amount of edible meat. It also creates a hygiene problem, as you can imagine, in the area where food is prepared. The project began with Javier doing a significant amount of research on local methods and available resources. He took pictures of some of those methods. Once Javier had determined the right type of cuy, we worked with 3 families in the village to train them on many different aspects of raising them. They needed the proper environment for raising and breeding with dividers for the young and adults as well as the males and the females. 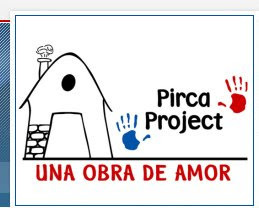 Those families made repairs to existing buildings or attachments to homes with materials provided by the Project Pirca. 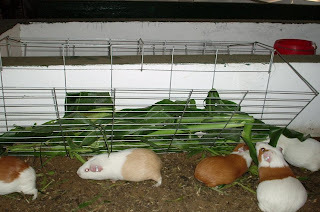 Once the facilities were inspected each family had to receive training on breeding techniques, nutrition and hygiene for the cuy. When that was accomplished the families were presented with breeding males and females. Here are some of the recent pictures from Javier on families and their cuy.